The undersigned organizations committed to addressing the HIV/AIDS epidemic are writing to call upon you, as entertainment industry leaders, to do much more to vocally and visibly defend and support the rights and dignity of entertainment industry workers living with HIV. Specifically, we urge you to issue a strong public statement to your association, guild and union members: 1) reminding them of their legal obligations under the Americans with Disabilities Act not to discriminate against any employee on the basis of his or her HIV status; and 2) pointing to current science and knowledge about the nature of HIV transmission and treatment. Such a statement could ensure that industry employers are aware of their obligations to protect the jobs and confidentiality of people living with HIV. It also would serve as a powerful message to the broader public about the very limited routes of HIV transmission (which do not include casual contact or kissing), the greatly improved prognosis for those who discover their HIV-positive status early and are provided with meaningful access to care and treatment, and the damage that fear, ignorance and shaming do to individuals and communities. Data show that HIV remains a highly stigmatized disease across our society in general, and individuals working in the entertainment industry report to their medical providers that they live in fear of losing their jobs if their HIV-positive status is disclosed. This issue most recently came to light when actor Charlie Sheen publicly disclosed his HIV status after years of extortion and threats of public “shaming.” Regardless of celebrity status, it is unacceptable that anyone should be stigmatized, shamed, threatened or mistreated on the basis of any aspect of their health. The flood of sensationalized media coverage arising from Sheen’s disclosure provides leaders in the entertainment industry with a unique opportunity to push back against HIV stigma and to publicly defend the rights and dignity of entertainment industry workers living with HIV (as well as all affected individuals), while helping to educate the general public.The highly effective HIV treatment available today can keep people healthy and greatly reduces their risk of transmitting the virus to others. However, when testing positive means getting shamed and losing job prospects, many people choose to remain in the dark. Research confirms that HIV stigma makes it harder to get people into care and to slow transmission of the virus. The entertainment industry historically has played a high-profile role in supporting efforts to address the HIV epidemic. Following the example of that tradition, and in honor of those in the industry affected by HIV, we urge you to take action to shed light on the injustice of continued HIV stigma and to assist in its eradication. We urge you to use your tremendous clout to make clear that people living with HIV need and deserve support, not judgment and rejection. 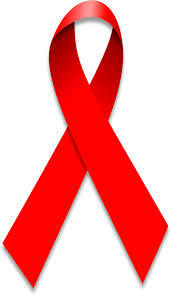 Anyone who is sexually active can contract HIV and other sexually transmissible infections. One of the most important things we can do to reduce the spread of HIV is to promote accurate understanding of the routes, risks and realities of HIV and other sexually transmitted infections, some of which cause equal or greater damage to health and life expectancy. Thank you for your consideration of our request. As organizations representing people living with HIV and those who provide healthcare and legal services to them, we are available to you as a resource if we can be of assistance. We can be reached by contacting either Naina Khanna, with the Positive Women’s Network-USA (nkhanna@pwn-usa.org) or Kimberly Miller with the HIV Medicine Association (kmiller@hivma.org).